Many of the colleges and their accommodation at Cambridge University have recently been undergoing renovation and one of them in particular was treated to a stunning overhaul with help from Read Veneers. The renovation of the residence, home to 240 students, included the replacement of wardrobe doors and drawer fronts with veneered panels. To achieve a fresh and modern look appealing to the student fraternity, steamed beech was chosen for the veneered panels. Steamed beech is prepared in such a way that a lovely warm, light pink to pinky brown hue is attained. It’s a very popular veneer for furniture and different effects can be accomplished depending on the cut. Straight grain steamed beech gives a very contemporary look whilst crown cutting of veneered panels offers more traditional appeal. 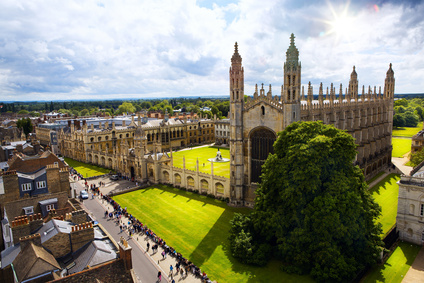 Read Veneers was commissioned to produce 240 sets of wardrobe doors and drawer fronts for the Cambridge University college. Each was solid wood lipped in the steamed beech and over veneered in the same. Our extensive machinery here allows us to handle all the lipping and any specific engineering required for jobs such as this. It was an interesting project and we’re really proud to know that our veneered panels form part of one of the most prestigious and well known establishments in the UK.